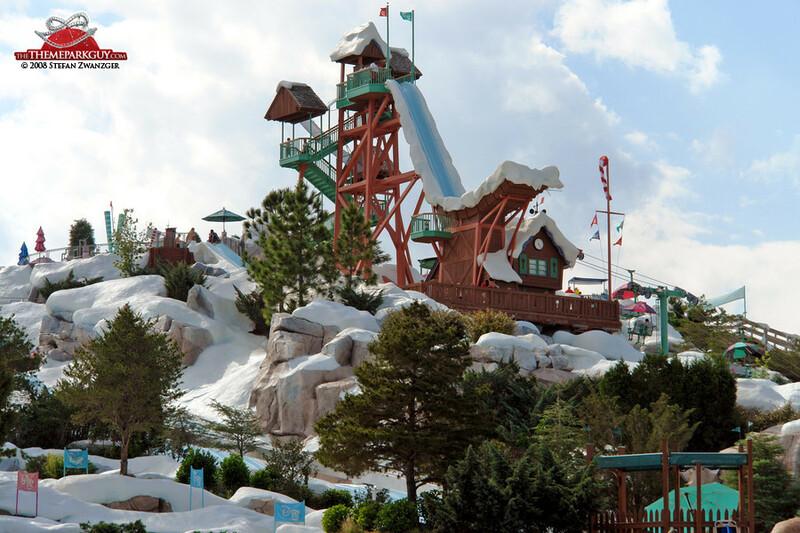 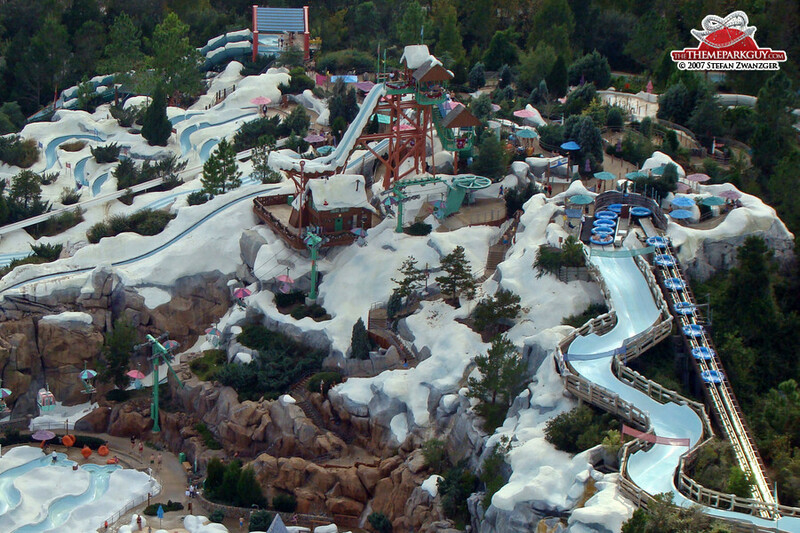 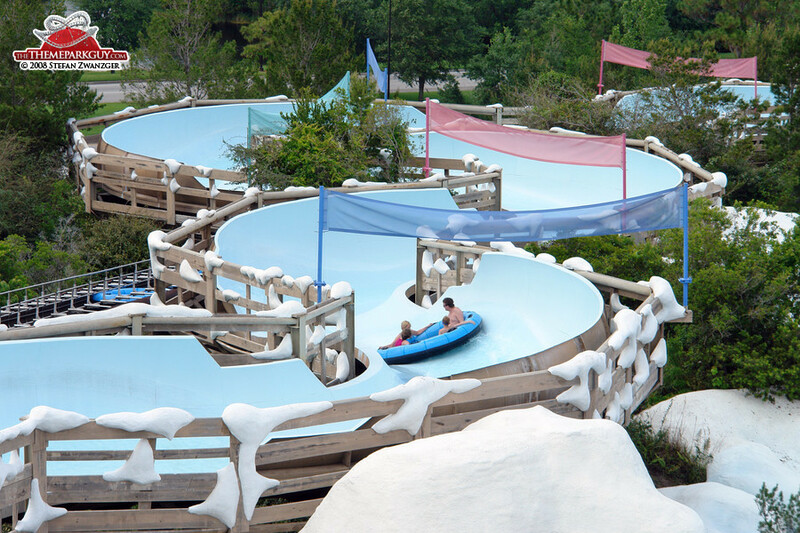 Blizzard Bach is a quality Disney water park with a snow storm theme: great when you arrive in Florida on a hot and humid summer day, not so great when you arrive on a chilly winter day. 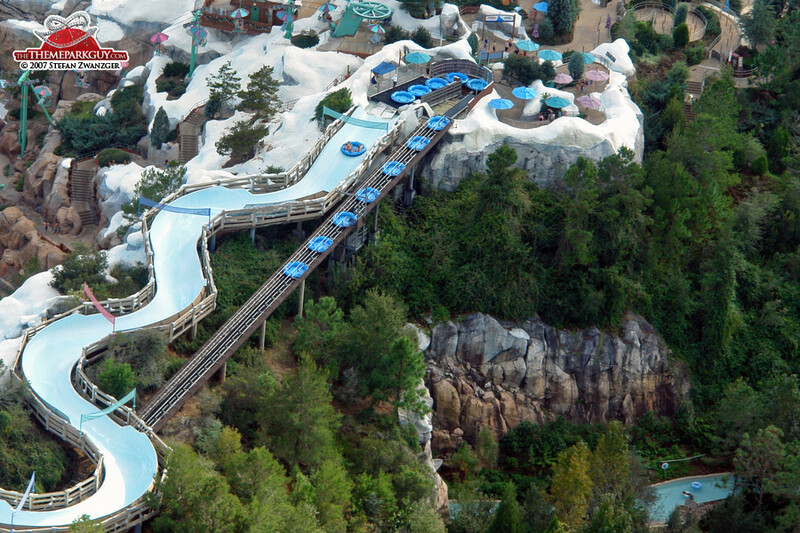 Brrr. 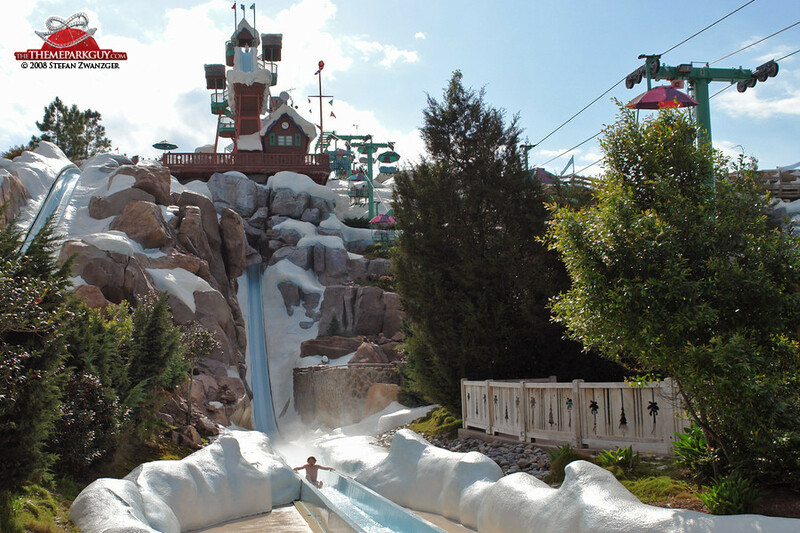 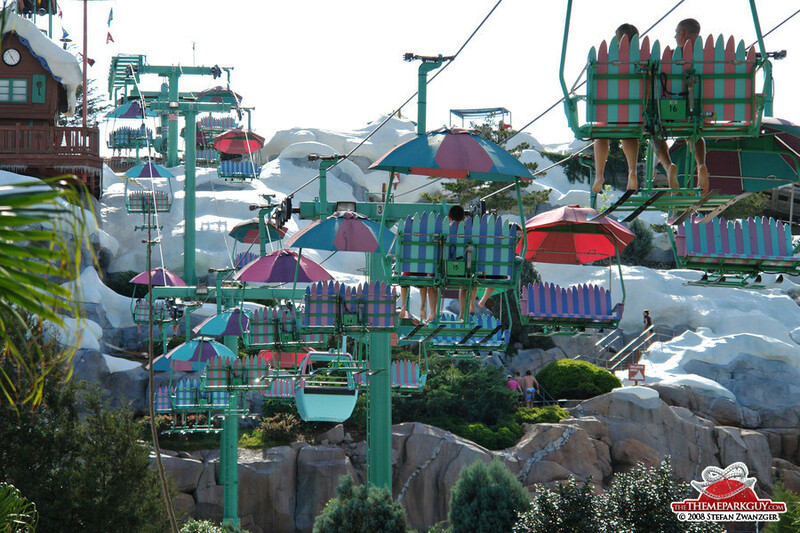 There are two monstrously fast and steep slides starting from a fake ski jump on top of the park's centerpiece mountain structure. 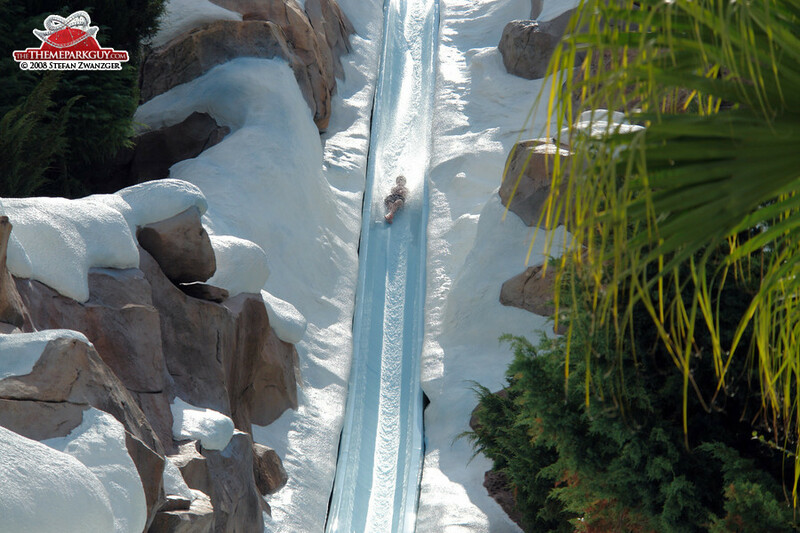 'Summit Plummet' is so frighteningly steep that I was clenching my teeth while thundering down. 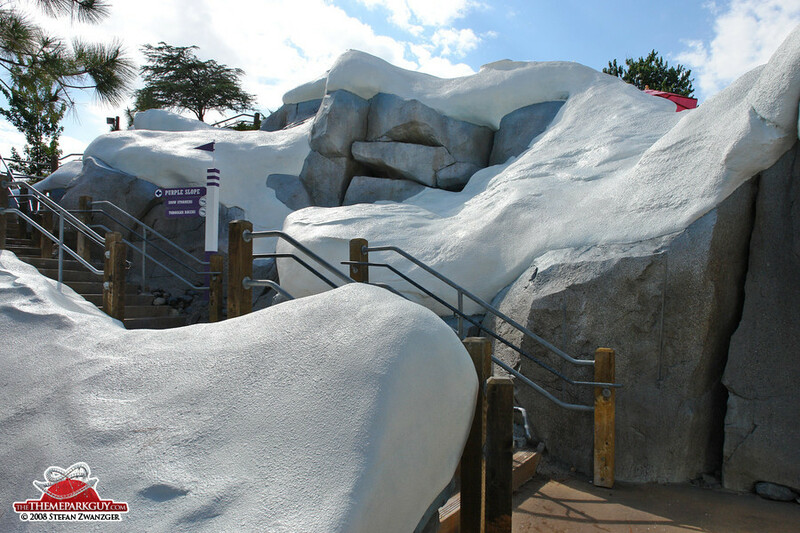 Some of the potential sliders in the queue looked like they were about to be forced into a polar bear fight. 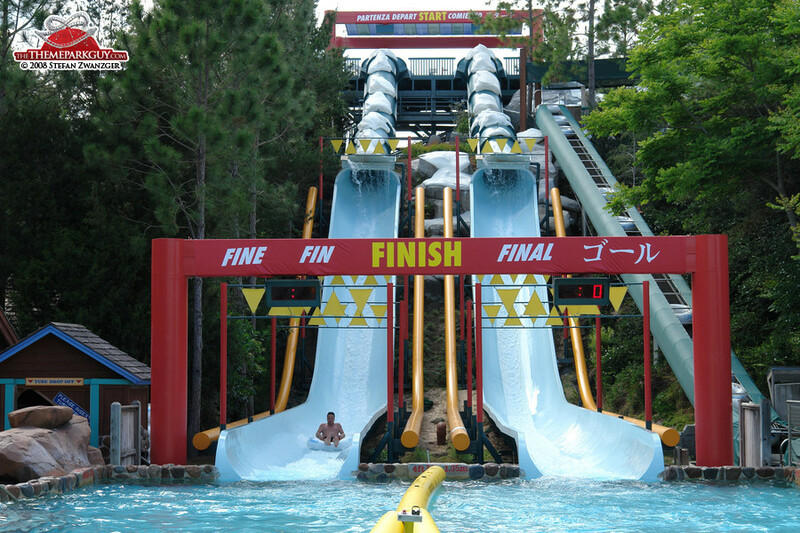 Some women cried. 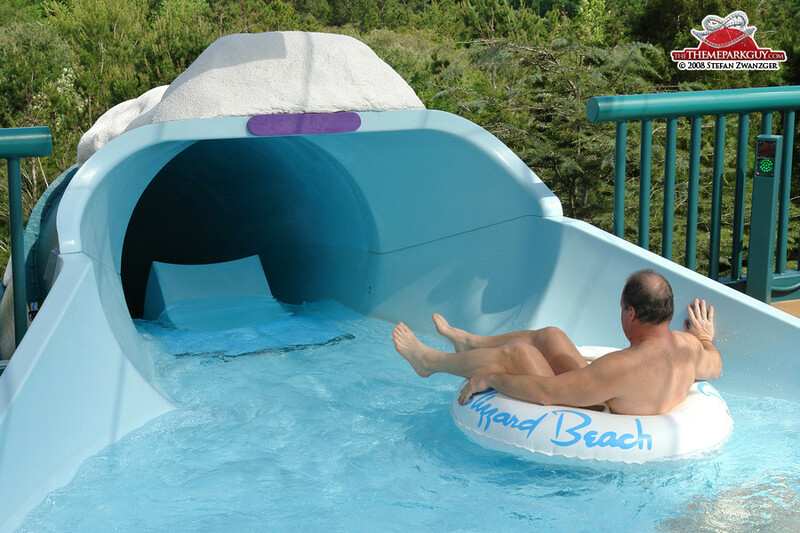 My favorite is the tube speed slide 'Downhill Double Dipper'. 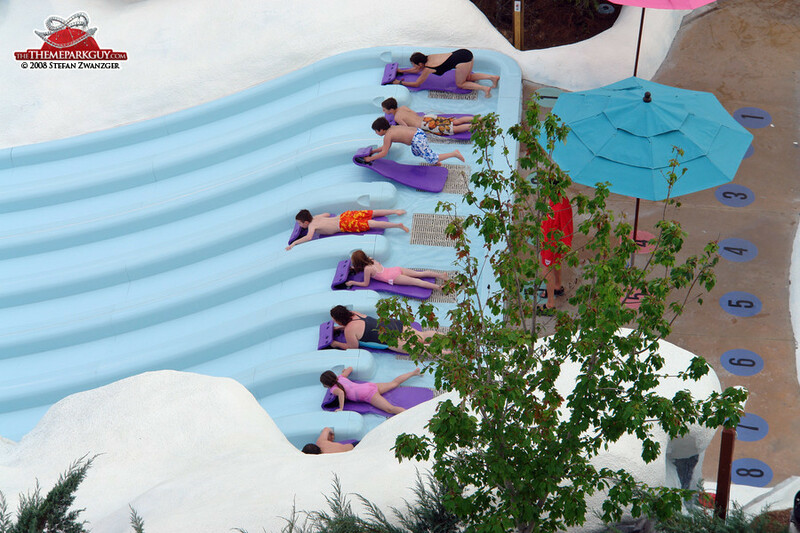 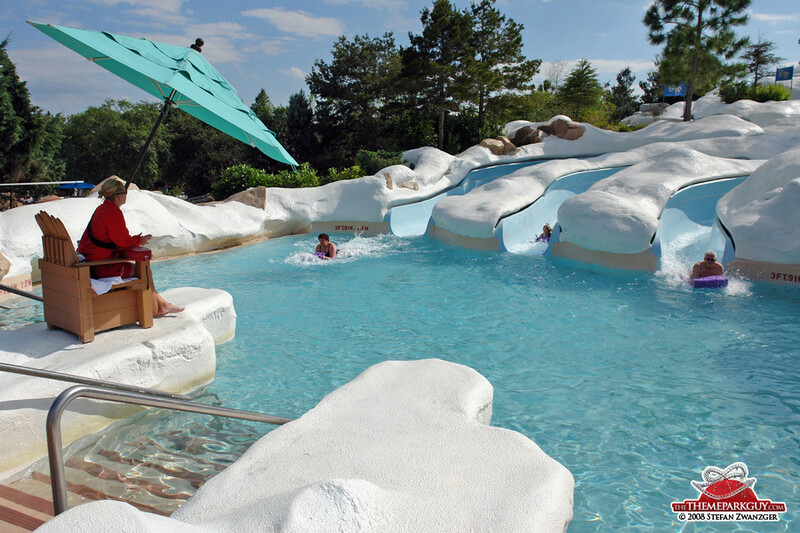 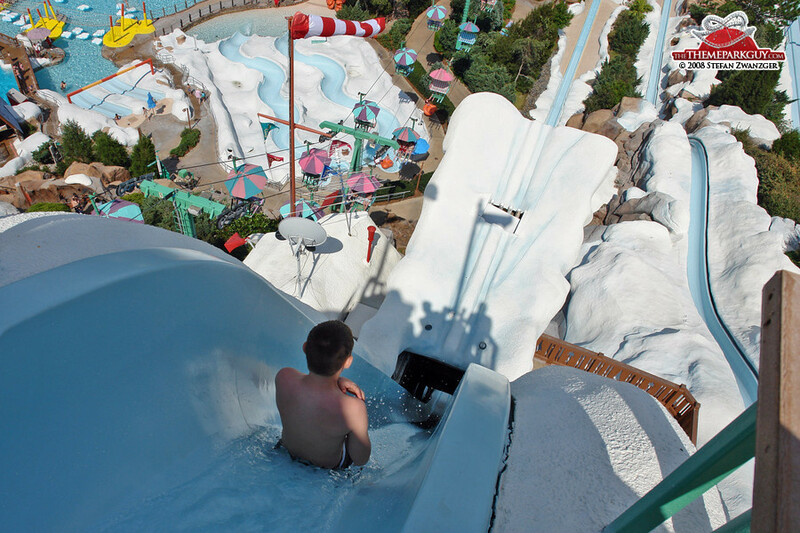 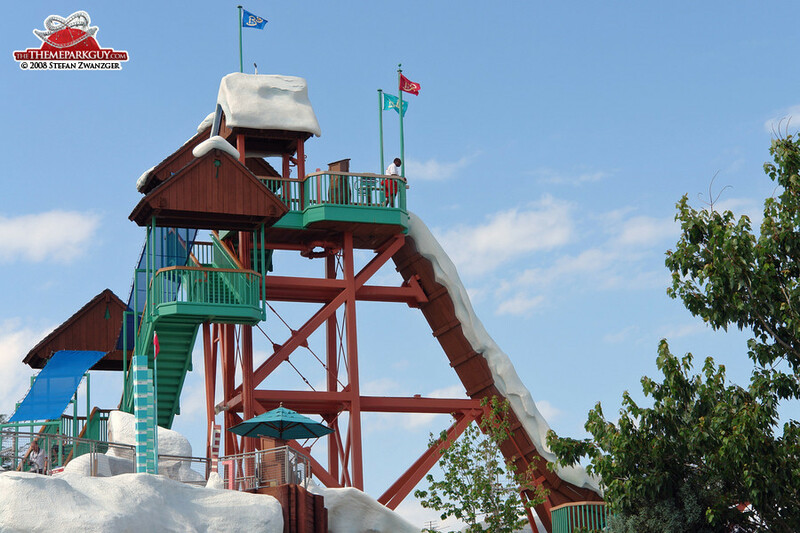 Atmospheric body slides, the ever present yellow family raft ride (in which up to six people meander down slowly on a very wide slide), a small wave pool and a lazy river surrounding the base of the mountain complement the offers. 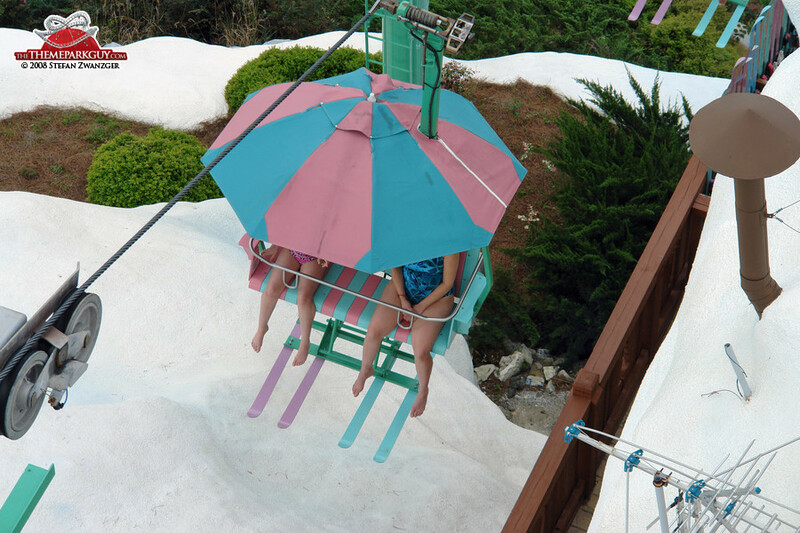 A ski lift system transports you to the snowy mountain's peak, which is a great idea. 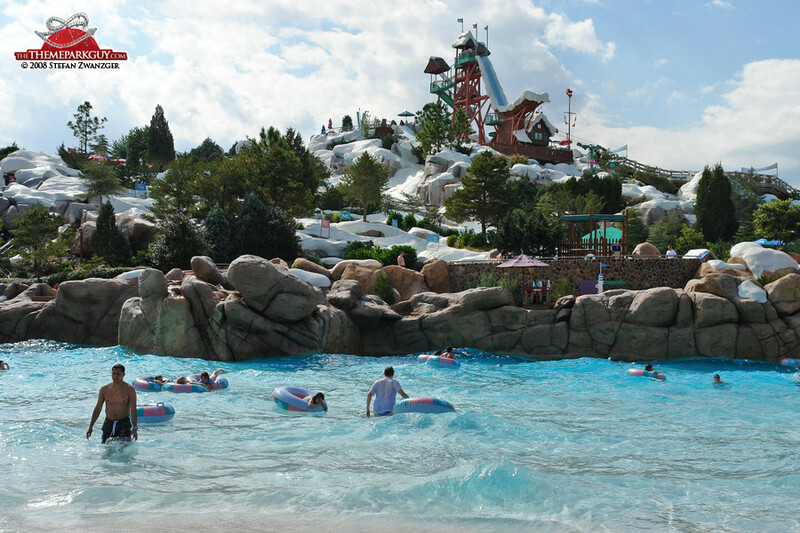 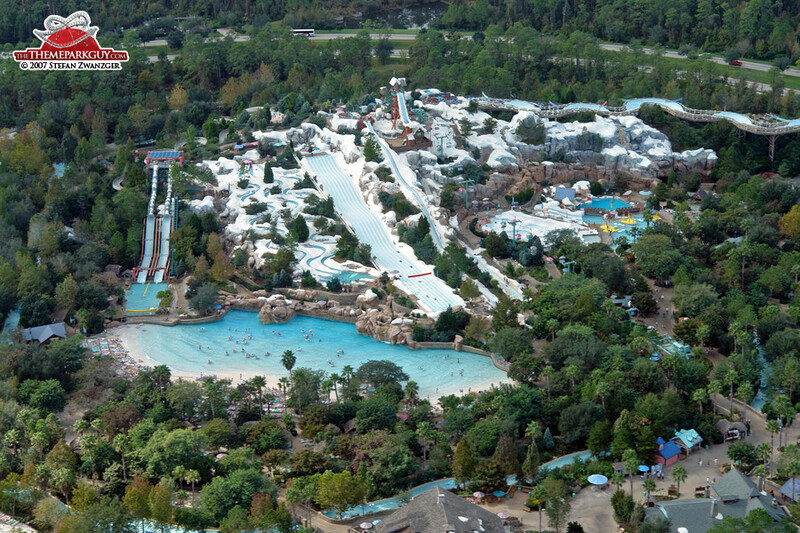 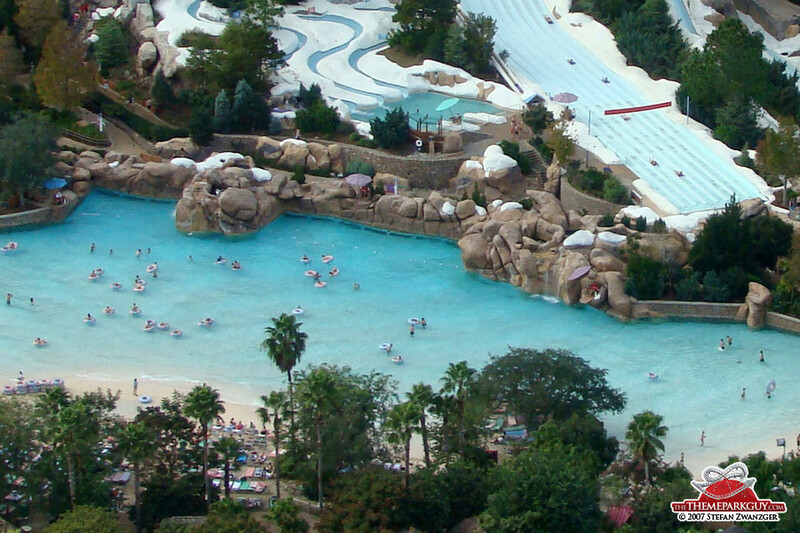 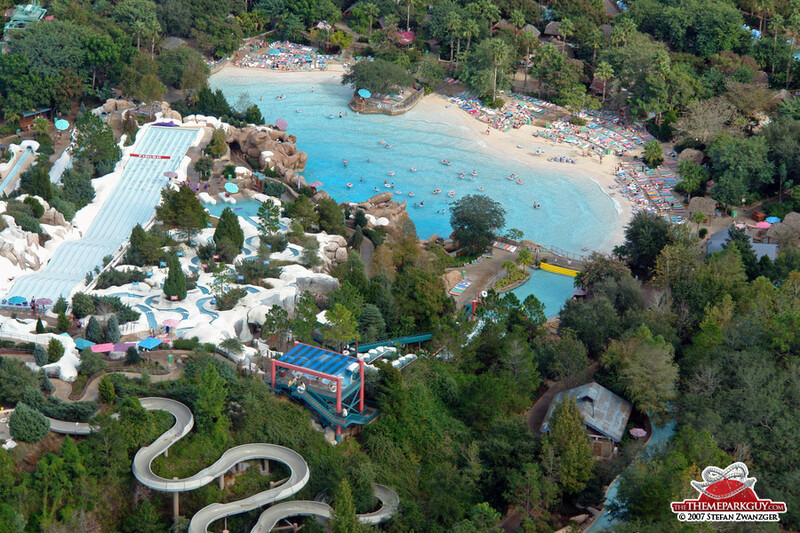 It’s a wonderful water park: however, if you've got only one day left at Walt Disney World, head to Typhoon Lagoon instead!